The identification code is registered into a national database that is cross-referenced to the manufacturer's Vehicle Identification Number (VIN), the selling dealership, and the vehicle's owner. 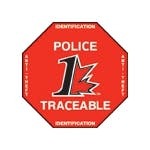 The identifcation code is permanent. It creates a direct link system between the vehicle, the dealership and the vehicle's owner. 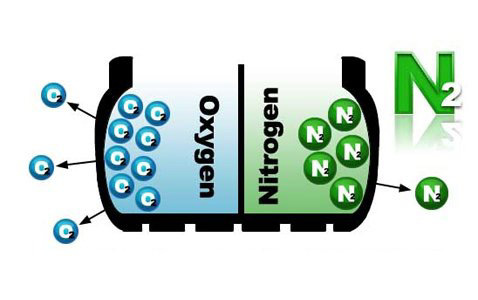 Nitrogen is a gas and is still affected by changes in ambient temperature (about one psi for every 10° Fahrenheit). 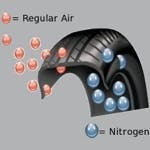 Nitrogen filled tires will require pressure be added during the fall/winter months as ambient temperatures and tire pressures drop. Nitrogen is good but can't change the laws of physics. 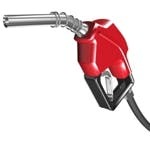 Drivers should use standard air if pressure adjustments are required when a local source of nitrogen can't be found during a trip. While this reduces the benefit of higher nitrogen content, it is far better than running the tires underinflated in search of a source. Buying a car is a major purchase, and it shouldn’t be taken lightly. That's why we run a Car Proof History report on all our used vehicles and provide the details to you so you can make a good purchase decision. CARPROOF provides the most comprehensive and reliable vehicle history reports in Canada, giving you peace of mind when you purchase a car. Never buy a used car without a CARPROOF report. 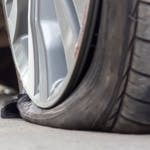 Some vehicles have had multiple owners, which makes it difficult for car dealers to notify current owners of safety recalls on their vehicles. CARPROOF will let you know if the car you’re considering has an unfixed safety recall, so you can be confident you’ll be safe behind the wheel. 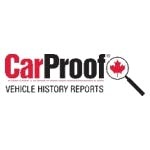 CARPROOF Verified reports include a Canadian lien search* that will tell you if we find liens registered against the vehicle in certain provinces and/or territories in Canada. Don’t get your new used car taken away by creditors. Be certain the car has been paid for before you buy. One of the greatest factors that can affect the value of an automobile is past damage history. A CARPROOF report tells you if the vehicle has been in an accident, and the extent of the damage. From fender benders to heavy damage, a CARPROOF report can tell you everything that has happened to your vehicle.